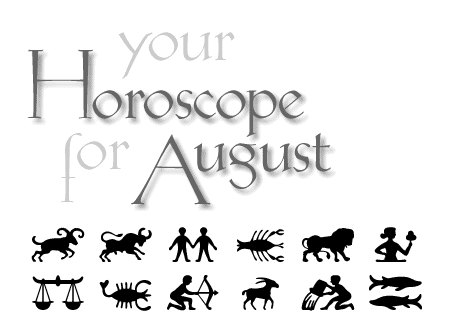 August is hatched from a Scorpio New Moon at sunrise on the 1st; let the truth of your desires bring you closer to what you value most and align your actions accordingly. If you value a healthy body, eat a colorfuland varied diet, move lots, and rest when you need it. The full Moon rising on the 9th sets the stage for high drama and according to my crystal ball you appear to be smack in the middle of it ! - As a referee, I hope. The New Moon on the 23rd is most auspicious for starting new habits.